Yeah, it's not so bad. At all. 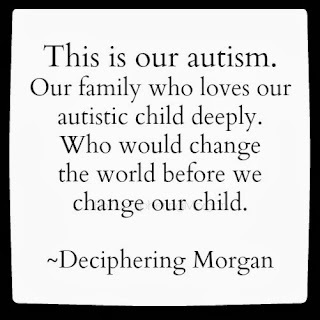 See, to me, Morgan's always going to be autistic. No matter if he's in public or private. I used to shy away from taking him in public for fear of being attacked, too. But then, I learned to use my middle finger a few times or ask, "And you're staring because....?" 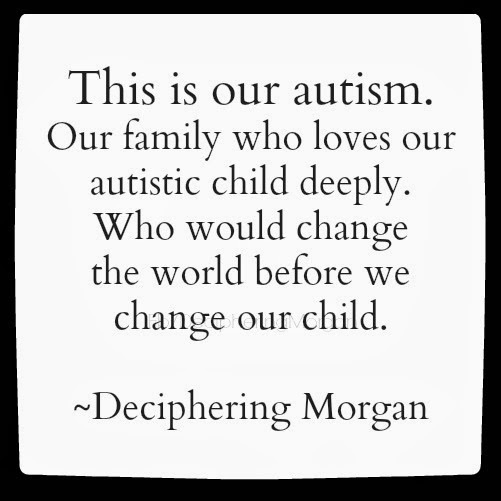 Or just politely explain, "My child is autistic. This is him flapping. I'd appreciate you NOT making a spectacle of yourself, thanks!" Sometimes, the fear of what people are thinking is worse than what might actually happen, I've found.